Wednesday, Apr. 3, 2019, 7 – 8:30 p.m. 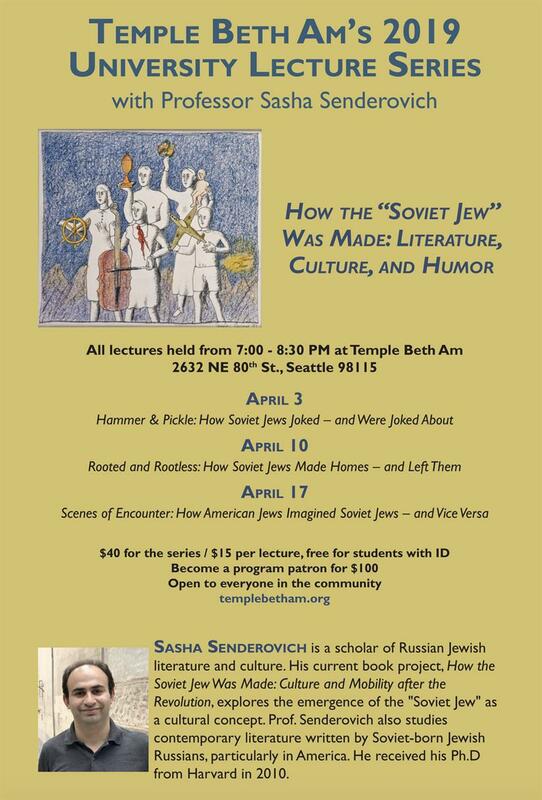 This lecture (which aspires to be a bit of a stand-up performance) attempts an overview of the Russian and Soviet Jewish experience over the course of the 20th century through telling and analyzing jokes from the large repertoire of Russian and Soviet Jewish humor.